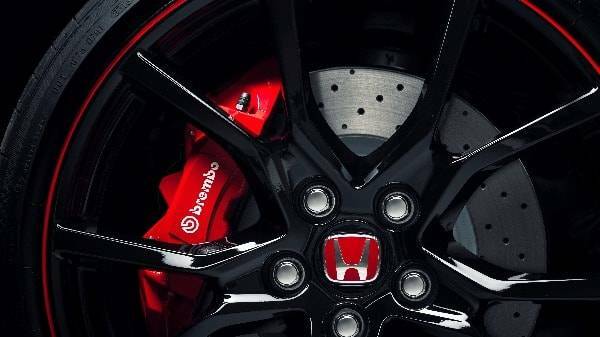 The Honda Civic Type R was always set to turn heads and break boundaries and it truly is the real deal. 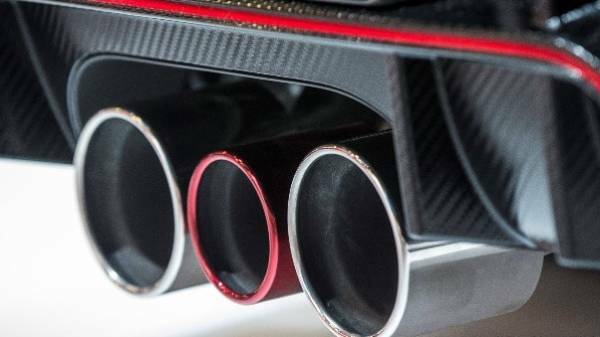 For the second time in as many years, the hot hatch is the fastest front-wheel-drive car around the Nurburgring race track, completing the track in 7:43.8s. 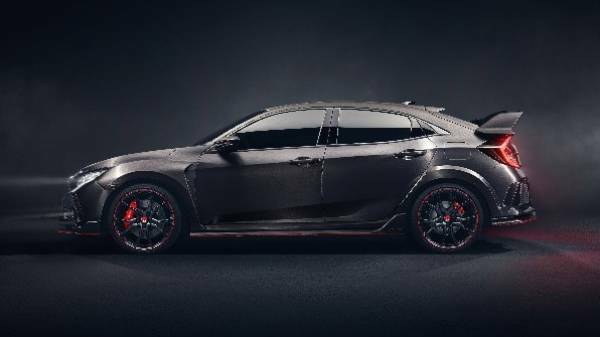 It is set to be built at the company's Swindon based manufacturing plant and, whilst incorporating some key features from the Civic range, this model has gone above and beyond to improve all aspects. 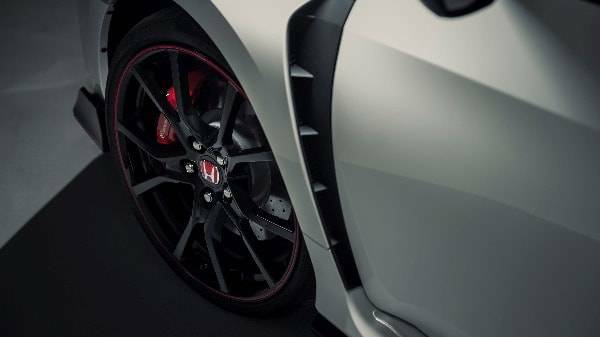 The Honda Civic Type R has been designed in such a way as to have an unrivalled presence and an unforgettable impression. This new model picks up on and enhances its predecessor's styling. 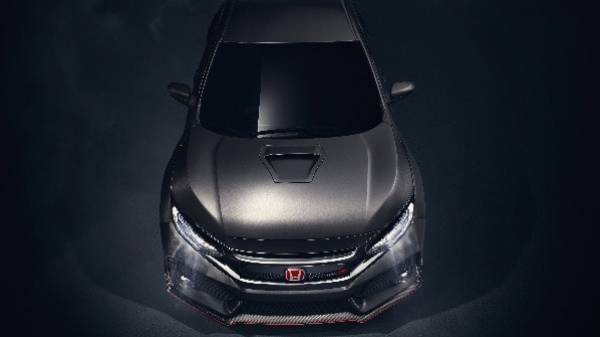 A new black-framed diamond grille, red pinstripe and some really dynamic and expressive headlights give the hot hatch a really powerful and impressive character. 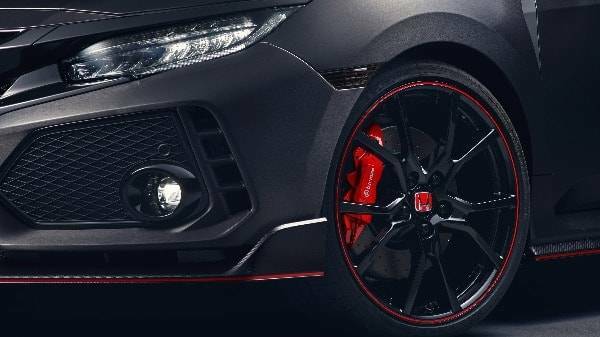 A large and distinctly kinked rear wing, aerodynamic fins and creases, large alloy wheels, red trim and three exhaust pipes make the Type R an unmissable and performance heavy edition to the Civic family. The 2017 Civic Type-R's full dimensions haven't been released yet. As soon as they are announced we will add. 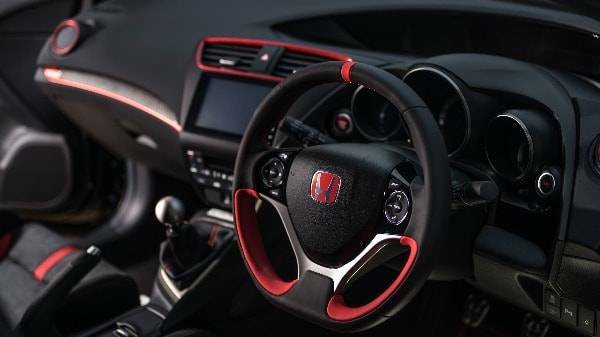 The interior of the Type R takes the modern design of the standard Civic and adds some really sporty features. 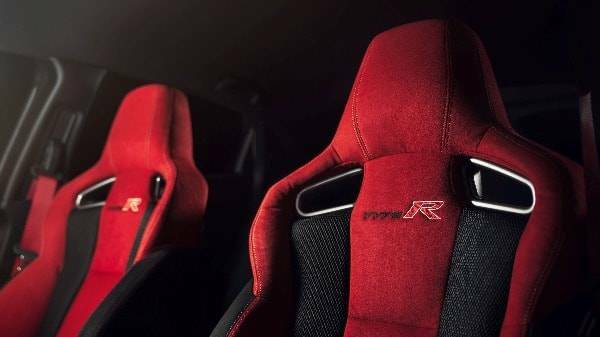 Race-style seats offer more support for fast cornering and are also 20 mm closer to the road, giving you a much more sporty driving position whilst also maintaining the high standards of comfort, even on longer trips and metal pedals let you feel the really racing spirit. 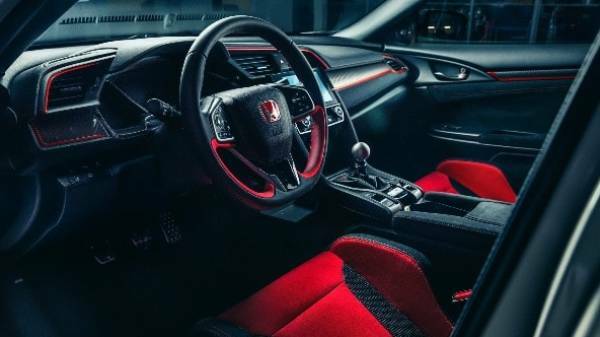 The dashboard is uncomplicated, with carbon fibre elements accenting the elegant lines which, combined with the red leather trim gives the Type R a really premium finish, with the signature red accents appearing throughout including a red-painted H pattern on the bare-metal gear knob. The interior has been specifically designed to give you the best and most efficient environment for sporty, responsive and fun driving. 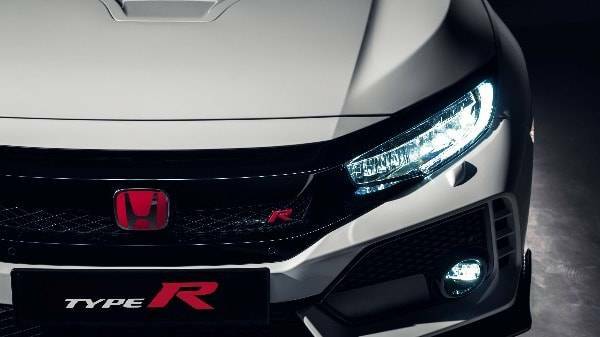 The Engine is, understandably, one of the key elements in the Type-R and is set to deliver an unforgettable driving experience. Offering immediate acceleration and power from low down in the rev range meaning the Type-R is incredibly responsive and fast.